The Yankees ended their five-game losing streak with their 8-6 victory over the Cleveland Indians on Thursday night at Progressive Field. They scored more than four runs in a game for the first time since their 13-3 win over the Red Sox on August 4. The Yankees offense slugged two homers, a 3-run homer by Brian McCann in the first inning and a solo blast by Stephen Drew (.195) in the second inning. The Yankees are 32-11 when hitting two or more homers this season. Drew’s homer was his 15th round tripper of the season, which is more than any second baseman in the majors besides Brian Dozier. Nathan Eovaldi, who won his 12th game of the season, allowed two runs in the third inning to make the score 4-2. The offense continued to find success off of Trevor Bauer as Drew hit a double to left to score Didi Gregorius in the fourth and Brett Gardner doubled to left to score Drew to send Bauer out of the game with the score 6-2 after 3.1 innings. Eovaldi allowed two more earned runs in the sixth inning including a Lonnie Chisenhall single that scored former Yankee minor leaguer Abraham Almonte. He did not have his usual command of his pitches as he threw 5.1 innings and allowed seven hits, three walks and four earned runs. Eovaldi had previously allowed three runs or less in each of his previous nine starts and two runs or less in seven of his last nine starts. This improved results is partly due to his consistency of his splitter, which he has started to throw a lot more this season. The 7.60 runs per game that the Yankees have score during Eovaldi’s starts this season are the second most in the American League. The Yankees needed this offensive outburst against the Indians because they couldn’t go into their important weekend series against the Toronto Blue Jays with a sweep to the last place Indians. To give the Yankees their seventh run and the lead for good, Gardner hit a single to center to score Drew to give the Yankees 7-2 advantage. Eovaldi left the game with a 7-4 lead, which allowed him to win his third game in his last four starts. Justin Wilson allowed one run on two hits while recording the first two outs of the seventh inning. Dellin Betances threw a wild pitch that allowed Francisco Lindor to score and that run was charged to Wilson. In his previous nine games, Wilson had only allowed one run while striking out 10 and walking two. Gardner drove in his third run of the game with his single in the eighth that sent Drew home. Andrew Miller bounced back after blowing his first save of the season in his previous appearance to record his 25th save, but the Indians did score a run on two hits off of him. Miller has converted 25 out of 26 save chances this season and still has a very good 2.25 ERA and 0.85 WHIP in his first season as a closer. The bullpen has been a strength for the Yankees all season, and the team will need dominance from them the rest of the season to hold off the Blue Jays. 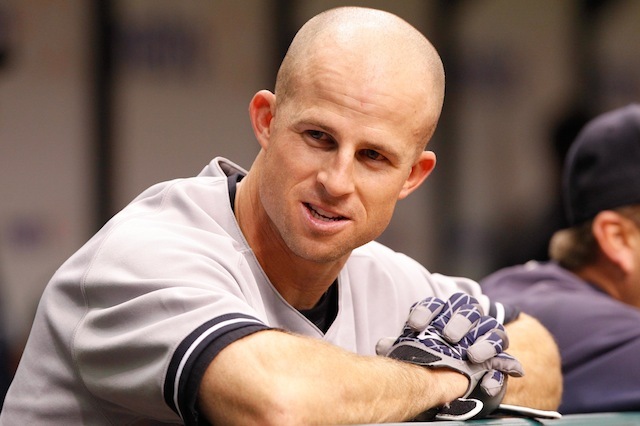 A major factor in the Yankees winning this game was that Ellsbury (2-4) and Gardner (3-4), who are the No. 1 and No. 2 hitters in the lineup, combined to go 5-8 with two runs scored and three RBIs. The Yankees need those two to hit well at the top of the order. Before this game, Ellsbury was 2-27 (.074) in his last six games, and Gardner was 4-20 (.200) with eight strikeouts in his last six games. The Yankees are now 62-51 and half a game behind the first place Blue Jays. Toronto is the hottest team in baseball as they have won 11 games in a row going back to July 29. They are currently undefeated with Troy Tulowitzki on the team. The Yankees and Blue Jays will play three games at the Rogers Centre starting tonight at 7:07. The Yankees will look to win games in a hostile environment as the Blue Jays fans will be into it since these are the biggest games at the Rogers Centre since they last made the playoffs in 1993. The two teams are top two in the American League in runs scored and RBIs. Stephen Drew playing second for the Yankees. 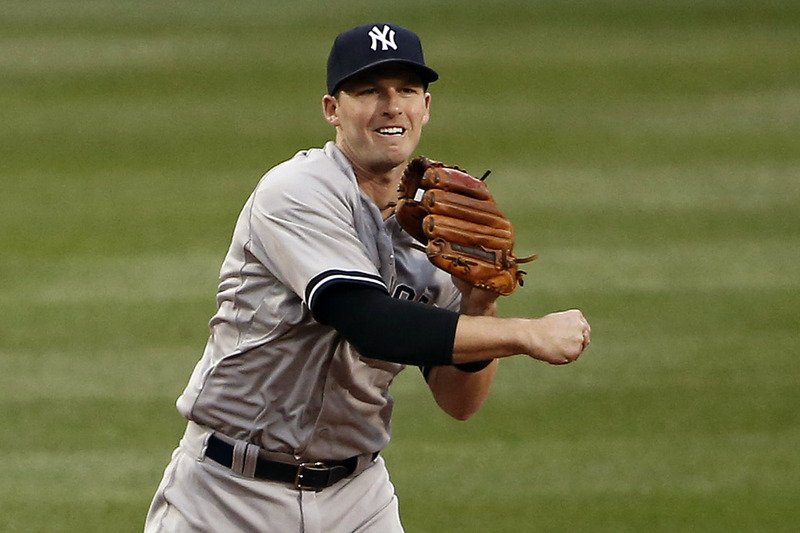 On Tuesday, it was announced that the Yankees had re-signed infielder Stephen Drew to a one-year, $5 million contract. The 31-year-old is entering his 10th season and played his first six seasons with the Arizona Diamondbacks and then played for the Oakland Athletics and Boston Red Sox. He will likely be the starting second baseman to begin the 2015 season with Rob Refsnyder or Jose Pirela being the back-up. In 46 games with the Yankees last season after being traded from the Red Sox for Kelly Johnson, Drew hit only .150 with three homers and 15 RBIs. Before being traded to the Yankees he played in 39 games for the Red Sox, and his season totals in his 85 total games came to seven homers, 26 RBIs, 14 doubles, a .237 OBP and a very low .162 average. However, he did not have a spring training or play in the first two months of the season because a team would have had to give up a first-round pick if they had signed up earlier as a result of his qualifying offer, so he could produce stats similar to his career averages. He has a .256 average in nine seasons, which is significantly higher than what he produced last season. He was the Red Sox shortstop when they won the World Series in 2013, and he hit .253 with 13 homers, 67 RBIs, six steals, 29 doubles, a .333 OBP and a .443 SLG percentage to go with his reliable defense at short (.984 Fielding% + only eight errors). His best season came in 2008 when he was 25 and in his third campaign with the Diamondbacks. He had career-highs of 152 games, a .291 average, 21 homers, 44 doubles and 91 runs scored. The Yankees would take anything between the season he produced in 2013 and 2008. Refsnyder likely would have had the edge over Pirela if the Yankees did not re-sign Drew since he has more upside and is already better offensively, but since Drew is back Refsnyder will be able to compete with Pirela in spring training to either be the back-up second baseman or the starting second baseman with Triple-A Scranton. Pirela is a 25-year-old utility infielder without much upside while being able to contribute something on offense and defense. Two more months playing with the RailRiders could be beneficial for Refsnyder since the 77 games he played there last season and the only ones he has played above Double-A. Refsnyder was a right fielder during his stellar tenure at the University of Arizona, and he will only be entering his third season playing second base. He greatly improved defensively last season as he committed 12 errors across two levels and only three of those came at the more challenging Triple-A, but in his first season playing second in 2013, he had 25 errors combined in two levels of A ball. He could use some more fine tuning at Triple-A to improve his defense. The Yankees can’t really lose from this deal because if Refsnyder is flawless on defense in spring training and continues to hit like he did last season at Double-A and Triple-A (.318 with 14 homers) and if Drew doesn’t hit at all, Refsnyder could start the season at second and the Yankees could eat Drew’s contract. However, a scenario with a higher probability is that Drew shows some of his previous form on offense and his usual solid defense, which would lead him to start at second and Refsnyder to try to improve with the big club or in Scranton. One other possible benefit of having Drew as the second baseman to start the season is that he will be able to be a veteran presence for the young Did Gregorius at shortstop. Gregorius, who was acquired earlier in the offseason in a trade with the Diamondbacks, has never spent a full season in the major leagues. Drew was a starting shortstop for eight seasons and played 122 games or more in five of those seasons, which proves that he could help Gregorius improve offensively and to a lesser extent defensively because Gregorius is already an elite defender. The Yankees lost a frustrating game to the Tampa Bay Rays, 4-3, on Tuesday night at Yankee Stadium. The Yankees are now 3-4 during the first seven games of their nine-game homestand. That is not how Joe Girardi wanted to begin a crucial stretch of home games in September. Hiroki Kuroda allowed four earned runs and nine hits in only 3.1 innings against the Rays. He had previously allowed two runs or less in his last four starts. He struck out the side in the first inning, but James Loney led off the second with a homer to right, and then Kuroda’s four singles allowed in the third inning led to two more Tampa Bay runs. Evan Longoria and Loney hit RBI singles to center in consecutive at-bats. Kuroda allowed three consecutive singles in the fourth with one out before being taken out of the game with the Yankees losing 4-0. Seven Yankee relief pitchers actually combined to pitch 5.2 innings and only allow two hits and zero runs. Girardi has so many relief pitchers at his disposal since the roster expanded on September 1. David Huff allowed two hits in his 1.2 innings and David Robertson pitched a scoreless ninth and hasn’t allowed a run in his last 5.1 innings. However, instead of Kuroda, the loss can be blamed on a Yankees offense that scored three runs or less for the third time in their last four games (they didn’t score a run in two of those games). Out of the seven hits that the Yankees had, only Jacoby Ellsbury’s home run in the fourth inning was not a single. One controversial play with Stephen Drew stands out in the fifth inning. In the fifth inning, the first three batters that came to the plate got on base, as Chase Headley was hit by a pitch and Ichiro Suzuki and Drew both singled. Chris Young then hit his first hit in his first start with the Yankees. His single scored Headley and Ichiro. Jacoby Ellsbury hit a single with Drew on second but Drew was ruled out at home. Drew should have scored according to the rules or been held at third. The Yankees could have had their fourth run right there, but third base coach Rob Thomson said that he should have held Drew at third to have runners at second and third with no outs. “Just a bad send,” Thomson said. “An error on my judgement. I take full responsibility for it.” To end the fifth inning, Derek Jeter hit into a double play where Young was doubled off of second. Another play that hurt the Yankees chances was in the seventh inning when Ichiro had third stolen with one out, but Drew swung at the pitch and hit a line drive to right field causing a double play. If Drew would have been more aware and not have swung, he could have driven in Ichiro with a sacrifice fly. The deflating loss to Chris Archer, who has dominated the Yankees in his career, makes the team’s hope of getting the second Wild Card far fetched at this point. They are now 5.5 games behind the Detroit Tigers and Kansas City Royals with only 20 games to play.